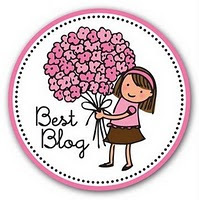 I just received my first award -- the Best Blogger Award, given to me by the stylish and lovely Sorelle In Style. 1. I think art history is extremely interesting. 3. I learned different dance styles for 7 years. 4. Every time after I watch a movie I go to its imdb page and read the trivia & connections, etc and where else the main characters have played. 5. I love food, especially pasta. 6. I'm currently learning how to drive. Favorite song - Overall Queen "Bohemian Rhapsody"
There are so many bloggers who I fallow and who also deserve this award, but I had to choose only 15. Pin It Now! ooooh honey!! you're so cute and i really appreciate it!!! i'm pretty happy you love my blog!! you just made my morning! thanks so much doll:) Happy Friday!!! Ait2h ;-) I'll try and do an 'award post' next week. And btw, you've totally deserved one! Ooooo, thanks so much for passing the award on to me. I'm so honored. Awww, congrats on your first award, doll! you deserve it!!! xoxoxo! Congratulations! I love history and reading, too!